WOODSTOCK, Ontario -- A Canadian former nurse accused of killing eight seniors in her care pleaded guilty Thursday to first-degree murder. 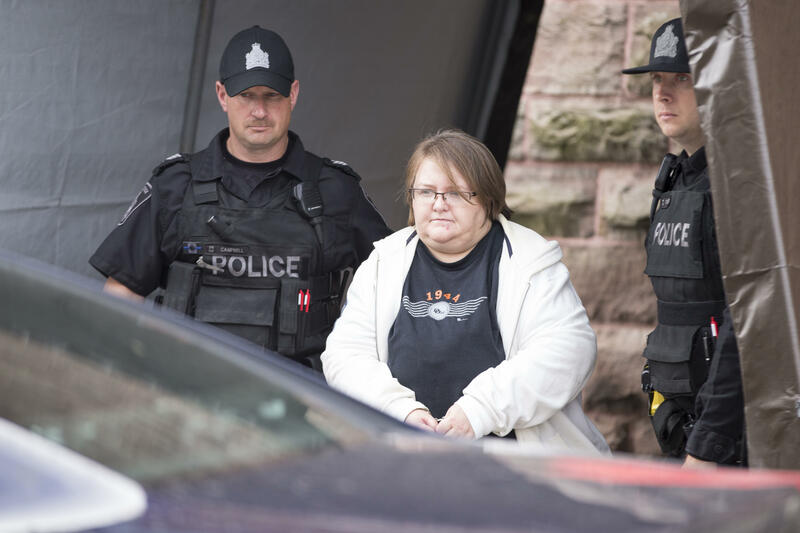 Elizabeth Wettlaufer also pleaded guilty to four counts of attempted murder and two counts of aggravated assault. The 49-year-old, who appeared in a Woodstock, Ontario, courtroom, acknowledged under questioning from the judge that she injected the eight people who died with insulin for no medical reason. All the incidents allegedly occurred between 2007 and 2014 in three Ontario long-term care facilities where Wettlaufer worked as a registered nurse, and at a private home. Wettlaufer discussed victim's love of blueberry pies and ice cream. Gave her a pie then felt "she was the next to go. It was her time." The victims were James Silcox, 84; Maurice Granat, 84; Gladys Millard, 87; Helen Matheson, 95; Mary Zurawinski, 96; Helen Young, 90; Maureen Pickering, 79, and Arpad Horvath, 75. Wettlaufer addressed the court Thursday, giving disturbing testimony about her motivations, reports the CBC. "I had this sense that God wanted her back," Wettlaufer said in court of one of the victims she killed, CBC reporter John Lancaster tweeted. Wettlaufer reportedly told one of her victims, "I'm sorry, I love you" before injecting him, but said "it felt like the pressure was relieved" after he died. Wettlaufer described getting a "red surging feeling " when she chose a dementia patient to be her next victim, and decided after giving her a blueberry pie that "she was next to go. It was her time," Wettlaufer said, Lancaster tweeted from court. Wettlaufer said she "got that laughing feeling" after killing the patient, according to Lancaster. The attempted murder victims have been identified as Wayne Hedges, 57; Michael Priddle, 63; Sandra Towler, 77; and Beverly Bertram, 68. Court documents say Wettlaufer injected those six with insulin. Wettlaufer was charged with aggravated assault against 87-year-old Clotilde Adriano and 90-year-old Albina Demedeiros. The police investigation into Wettlaufer began last September after Toronto police became aware of information she had given to a psychiatric hospital in Toronto that caused them concern. After I did it "I got that laughing feeling" re: elderly patient's injection. Some family members of Wettlaufer's victims broke down in the courtroom as Wettlaufer entered her pleas. Friends and relatives of the seniors who died said earlier on Thursday that they were warned the hearing would reveal information that might be difficult for them to handle. Some, however, expressed relief that the case would come to a swift conclusion. Andrea Silcox said before the court hearing that she was worried about what she would discover about her father's last moments, but said she'd be grateful to avoid a lengthy trial. "I will forgive her, I have to forgive her...my father would want that," she said. "Forget? I'll never forget what happened." Arpad Horvath Jr., whose father was also among Wettlaufer's victims, said everyone who lost a loved one will have to live with the pain forever. "She took away my best friend and my hero and I can't forgive that," he said. Records from the College of Nurses of Ontario show Wettlaufer was first registered as a nurse in August 1995 but resigned Sept. 30, 2016, and was no longer a registered nurse. A judge has the ability to impose eight consecutive life sentences, reports the CBC. The hearing was ongoing Thursday and Wettlaufer hadn't yet been sentenced.